Today was pretty successful, I visited a local bookstore that I have heard a lot about. Spoonbill & Sugartown Books is a cute little bookstore with a lot of great little gems. 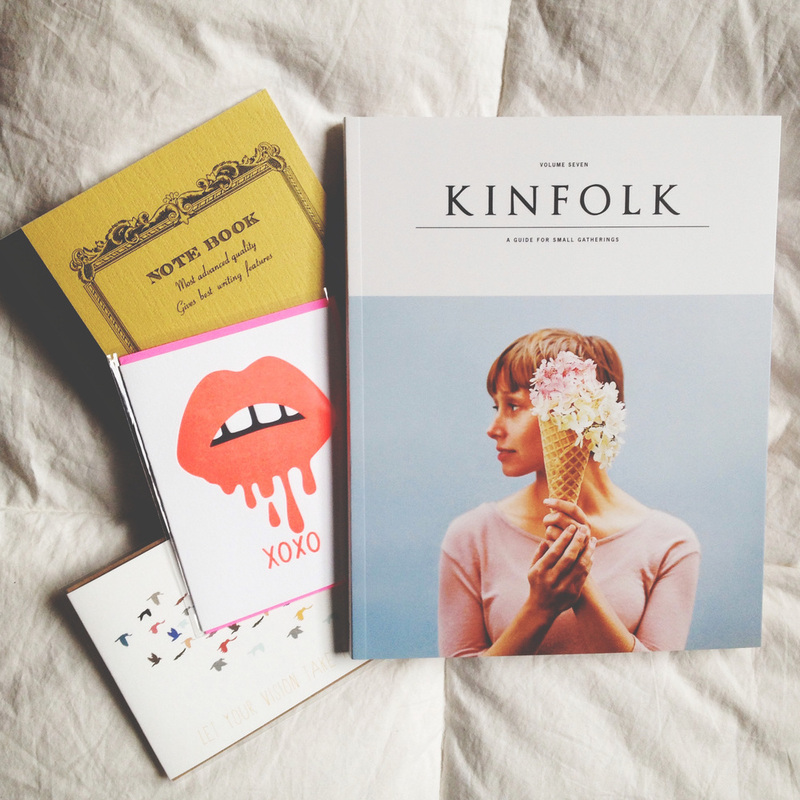 I have been wanting the Kinfolk magazine for a good time now and in North Carolina you can't just walk somewhere and find it so seeing it in the window I knew I had to get it right away. Today reminded me that sometimes the smallest things are the best things. I got a couple cards to send to some people and I feel they just mean that much more because of how unique they are. I feel one of the things that are forgotten are hand written notes. People don't do it anymore and have conformed to the huge social networking world that is getting bigger and bigger by the second. I have to admit I have fallen into that category a lot and have to sometimes take a minute and write a note to someone. Believe it or not because it is so rare these days they are that much more memorable and special to those receiving it. So this weekend why not try and sit down and write a simple "Thinking about you, I hope you have a great week" to a loved one. I promise it will make you feel good..